With the recent release of JetBrains ReSharper, they've included a way to add extensions onto their ReSharper extension. Here are the top ReSharper extensions. 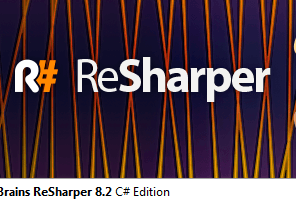 If you work with Microsoft's Visual Studio, you know how vital JetBrains Resharper is for your development effort. Did you know they have extensions for their JetBrains ReSharper Extension? I've been using most of these Extension tools since 7.1 and they've been quite useful. Here are the top ReSharper extensions that I found the most useful. If you've read Robert "Uncle Bob" Martin's Clean Code book, then you'll find this extension extremely useful. If you have a method that is way too long, it underlines the method. If you have a number of methods chained together, it'll notify you. Overall, this is a great extension to keep your code in check and your refactoring always churning. When I use T4 templates, it can be messy if your color-coding isn't enabled to show you your mistakes. ForTea includes the ability to edit .tt, .ttinclude, and .t4 files, syntax highlighting for C# and T4 directives and blocks, and Intellisense completion. Using ForTea has saved my sanity a number of times while working on code generation templates. While we all try to make our code easier to use and maintain, the only way to gauge the complexity of your code is to perform code reviews. This extension pack adds additional context menu refactorings including: Duplicate Method, Invert Return Value, Make Abstract, Make Virtual, Pull Parameters, Reverse For-Loop, Use As Operation, Use Cast Operation, Use String.Compare, and Use StringBuilder. If you want to create your own ReSharper plugin, their SDK is available here. Did I miss any or do you think there is a better one out there that you use? Post it in the comments below.